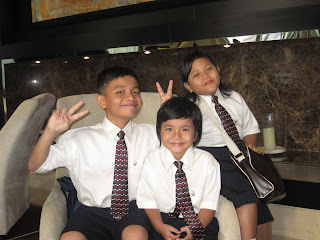 Papa brought us to buy our school uniforms at ZAKs Store at Jumeirah Beach on Tuesday. 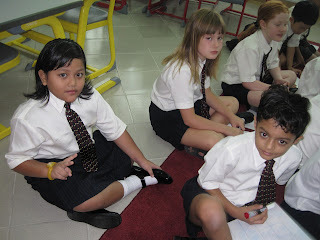 We started school on WED, Sept 29. 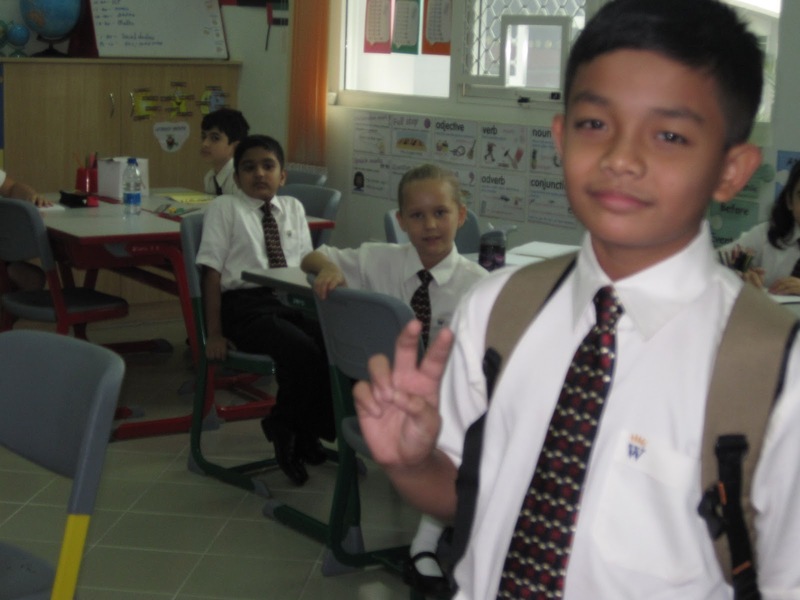 Kelas DekYa (1C) kat atas, Danial (5A) pun kat atas. Kelas Dede (3C) kat ground floor. 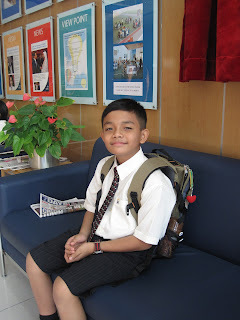 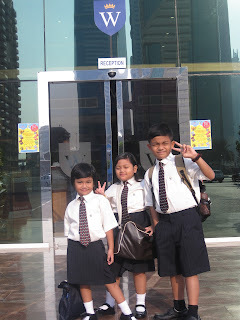 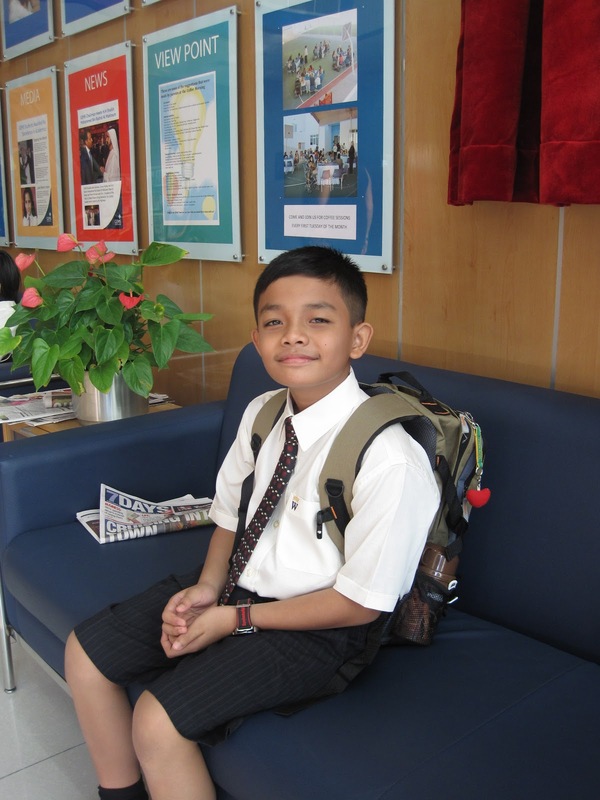 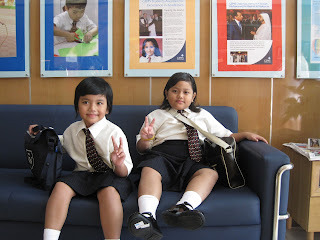 Ni at hotel lobby, waiting for Papa to fetch the rented Jeep Cherokee..
Ni gambar2 kat school... sekolah tu just behind the Towers Rotana where we are staying for first 2 weeks in Dubai.